Mother’s Day is coming up, and one of my favorite things is getting gifts made by my kiddos. I especially love gifts that I have helped them make. 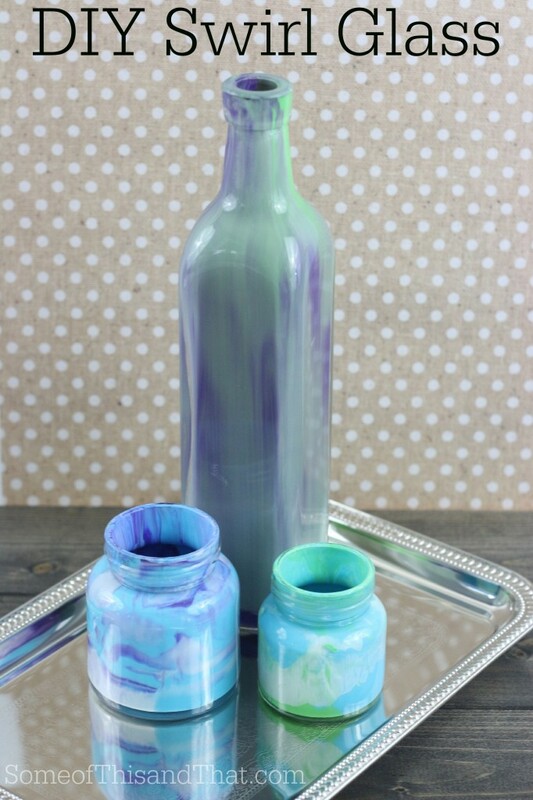 These DIY Swirl are perfect for that. My kids had a blast making them, and I just love how they turned out! 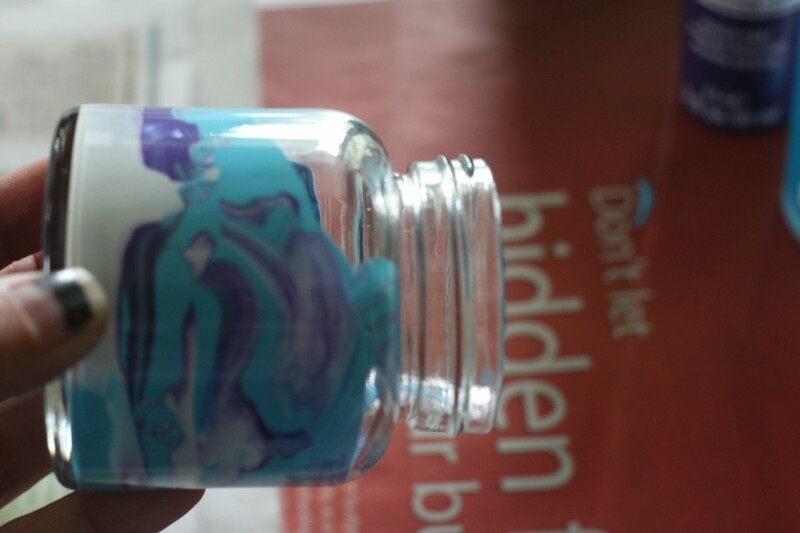 Pick out some colors, pour some in, and let the kids turn and swirl the jar until they are happy! Another great thing is this is a super inexpensive project. I actually already had the paint on hand, and I up-cycled some old glass jars and candle holders! You can pick up the supplies for less than $5 if you don’t already have the items on hand. Cover work area with newspaper to protect your work surface. Add a few drops of water to your paint, about a 1:10 ratio worked best for us, if your paint is older and thicker, a little more may be needed. 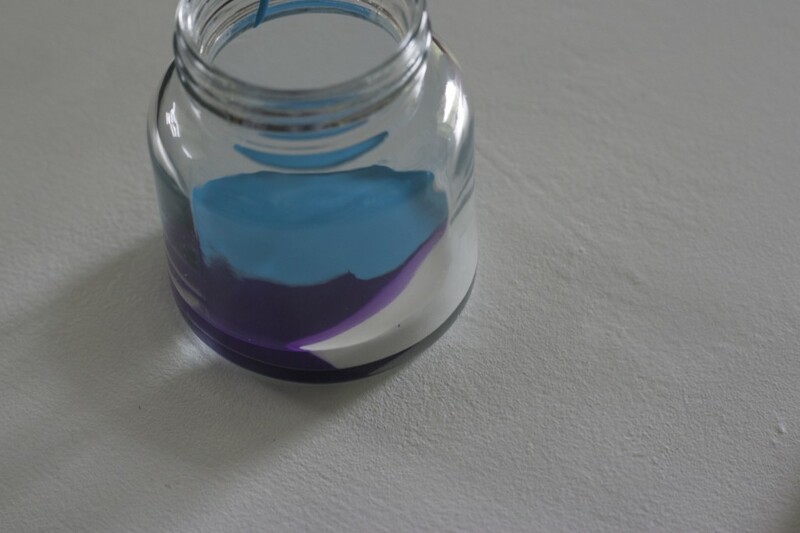 Add a few drops of each color into your jar. Slowly tilt and swirl the jar to cover the entire surface of the inside of the jar. 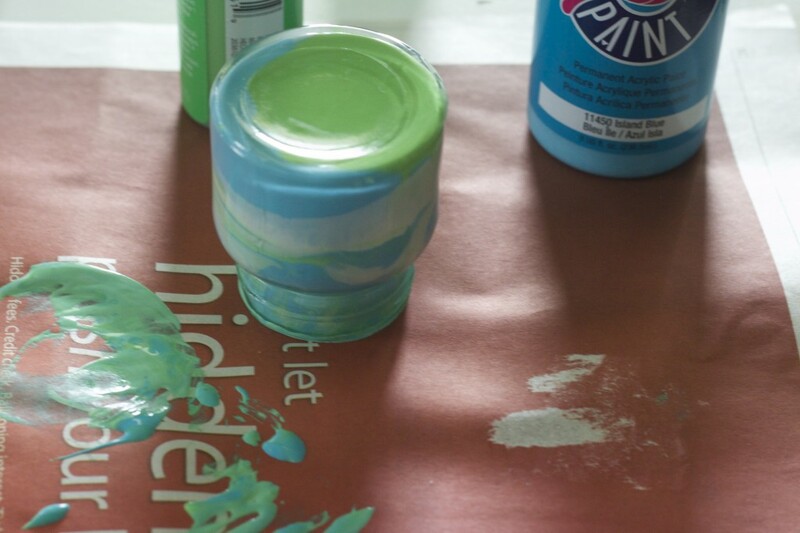 Once the inside of the jar is coated, allow it to dry upside down so that the excess paint can drain out. Allow to dry for 24 hours before using. How simple is that? I think I may have a slight addiction to doing this now. It was so fun and simple! 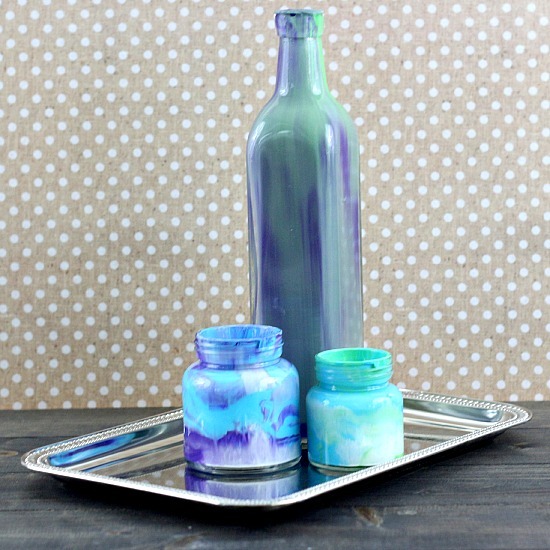 Be sure to check out all of the other great DIY projects that will make great Mother’s day gifts! Previous Post: « Triple Berry Fruit and Yogurt Pops! Another way to decorate my mason jars! Love it! And we got tons of paint here. Love how these turned out! My grandchildren will love doing this. Thanks for the inspiration and thanks for linking up to Creative Spark Link Party. This looks so cool and fun. I am going to do this with our kids. So easy for them to do too! Thanks for sharing on the Lets Get Real Link Party! I did this once years ago with glass ornaments for Christmas! It was really fun and they turned out beautifully. Thanks for a reminder! I had nearly forgotten. I especially like the tall glass that you did. Beautiful! Those look amazing and very simple. I can’t wait to try this with my kids for craft time. Thanks for linking up to the Ultimate Linky Party!